Vitaphysical is less than five miles from Silksworth. From our clinic on John Street Sunderland, our osteopath and massage therapists offer treatment that helps your body to recover and allow you to relax. First opened in 2007 as Sunderland Back Pain Centre, Vitaphysical was later renamed by founders, osteopath Jason and masseuse Bronyia, to more accurately reflect the comprehensive range of conditions our therapists treat. We still hold a back pain clinic and treat frozen shoulder and neck pain too, as well as conditions such as arthritis and carpel tunnel. We also work with those who have suffered accident or injury, restoring function and movement. 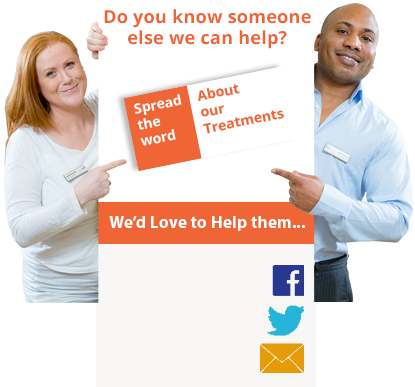 You can find more details on our what we treat page. Our range of massage services spans the traditional through to specialist sports massage for pre or post exercise and pregnancy massage for mums to be. You can choose from deep tissue massage, full body massage, Thai massage or opt for a relaxation massage. If you’re not sure what type of treatment would work best for your goals, call Jason our osteopath and he’ll talk you through your options and help you select the service that’s right for you. The Vitaphysical massage and osteopathy centre is located on John Street Sunderland, less than five miles from Silksworth. On-site parking is free for patients and you’ll find directions on our find us page. Many of our patients come to us on the recommendations of friends and family and some have attended physiotherapy or visited a chiropractor in the past with limited success. Being able to provide the solution these patients are looking for us what makes our jobs extraordinarily rewarding and we’re very proud to be able to share some of our patient success stories on site. Alongside our 100% money back guarantee, we offer all first time patients a discount on their first treatment. Just download your voucher and redeem against your first visit. Call 0191 565 8886 to book an appointment, use our online booking system or email us at info@vitaphysical.co.uk with your details and we’ll get back to you as soon as possible. We look forward to welcoming you for a visit at Vitaphysical soon.